I’m always amazed when I see my younger friends communicating with each other using instant messaging applications. Their use of instant messaging for rapid communication, as opposed to voice contact, is a phenomenon that I must admit has never appealed to me. I excuse myself on this one by convincing myself that I’m an ancient fossil; after all my computing experience goes all the way back to the dark ages of MS-DOS 1. Not quite the days of the Dinosaurs; but close. My comfort zone in communications is a telephone used the old fashioned way for immediacy, or email where immediacy is not an issue. The reality is however, that programs such as MSN Messenger, Yahoo! 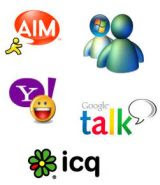 Messenger, AIM, and a basket full of other IM applications are extremely popular with the tech savvy younger generation, like my younger friends, who want real-time contact with each other. Regrettably, from a security perspective these applications can present considerable risks. Generally, this security risk takes place when these programs are used to share files, folders, or in some cases even entire drives. Instant messaging, unfortunately, is a primary channel used by cyber criminals to distribute malware. As Wikipedia explains it, hackers use two methods of delivering malicious code through IM: delivery of virus, Trojan, or spy ware within an infected file, and the use of “socially engineered” text with a web address that entices the recipient to click on a URL that connects him or her to a website that then downloads malicious code. Viruses, worms, and Trojans typically propagate by sending themselves rapidly through the infected user’s buddy list. Follow these tips to ensure you are protected when using instant messaging. As I’ve mentioned before on this Blog, SerifSoftware entices you in an unusual way to buy, or upgrade, to their latest software offerings. They will give you, free of charge, an older version of any of their software packages. An interesting twist on the usual “try it for free for 30 days” we are all pretty familiar with. Having used and tested, Serif’s free editions for 10+ years now, and I find that even their older software is more than up to the tasks I set. Sure, the applications may be older than the current versions, but in terms of functionality and features, generally you are not missing much. Most software today, tends to be overblown and bloated with features that many users have little or no need of. So, in these older free versions there are not as many tools as one might find with more recent products, but those that are there tend to be the ones that are most used by typical users. Despite the slightly dated appearance of Serif’s 3DPlus 2, this is not an ‘old’ program that’s been revived just for give-away. 3DPlus 2 is a very functional and easy-to-use tool, capable of producing great 3D graphics, logos, headlines and 3D animations. Serif keeps things simple by offering template-based wizards for still and animated graphics, combined with preset controls and 3D content. The gallery of ready-made objects, from basic shapes to clothes, household appliances, sports equipment and more, is designed to save you time. As well, 3D Quickshapes gives you an easy shortcut to stars, arrows, speech bubbles and other basic shapes. It won’t take you long to become familiar with keying in text, extruding it to create a 3D object, adding texture and lighting, dropping in a background image, adding other 3D objects from the library and changing the camera position to get a better view from above, below or behind. There’s something pretty neat about being able to build a solid 3D object, move it around and view it from every angle. Serif 3DPlus 2 lets you do just that, without anything getting in the way of the fun. • With its simple interface and intuitive tools, 3DPlus makes creating any 3D design a breeze. The new Wizard interface and convenient tabbed Studio Bar mean it’s easier than ever to get exactly the 3D effects you need. • Get the precise result you need with 3DPlus 2’s collection of over 300 automatic Wizards. From designer logos and Web buttons to animated greetings, 3DPlus has a Wizard for every occasion. • Add a new dimension to your text and designs. Choose from a range of customizable bevels, apply to your objects and watch as 3DPlus creates professional quality effects. • 3DPlus is the perfect tool for creating 3D logos, banners, Web graphics and animations. With 3DPlus you can add a 3D look that will really make your site stand out. • With 3DPlus, 3D animated graphics are easy Object and lighting effects can be applied with a single click and easy-to-use yet powerful 3D animation tools and instant special effects allow you to create animations in seconds. Export your work as an animated GIF to your Web site or presentation. • View your scene from any angle with six preset camera positions and freeform orbiting. • With full control over the lighting of your scene and a gallery of preset schemes, 3DPlus allows you to add drama or subtlety to your scene with a single click. You can create and save your favorite lighting schemes for future use. • Personalize your work. Choose from over 600 3D Models and over 500 backgrounds, textures and fills, all easily accessible from 3DPlus’s easy-to-use gallery. • Add text and apply textures, bevels and shadows to create effects. Whether you need a new logo for your company, product or club, or a new graphic for your Web site, 3DPlus makes it easy to get the look you want. • Creating 3D Objects is easy with 3DPlus. The materials, patterns and textures in the 3DPlus Library provide all the power and flexibility you need to create 3D elements, 3D worlds, scenes, and animations. • Can’t draw? 3D QuickShapes work like intelligent clipart, no need to draw at all, just select and customize. Online Banking Security – Be Safe – Know the Rules! As use of the Internet continues to expand, banks and other financial institutions are using the Internet to offer products and services, or otherwise enhance communications with consumers. The Internet offers the potential for safe, convenient new ways to shop for financial services and conduct banking business, any day, any time. However, safe banking online involves making good choices; decisions that will help you avoid costly surprises, or scams. You are your own best protection. So learn about and take advantage of security features offered by your financial institution. Encryption is the process of scrambling private information to prevent unauthorized access. To show that your transmission is encrypted, most Internet browsers display a small icon on your screen that looks like a lock or a key, when you conduct secure transactions online. Avoid sending sensitive information, such as account numbers, through unsecured e-mail. Passwords, or personal identification numbers, should be used when accessing an account online. Your password should be unique to you, and you should change it regularly. Do not use birthdates or other numbers or words that may be easy for others to guess. Always carefully control to whom you give your password. For example, if you use a financial company that requires your passwords in order to gather your financial data from various sources, make sure you learn about the company’s privacy and security practices. General security over your personal computer such as virus protection and physical access controls should be used and updated regularly. Contact your hardware and software suppliers, or Internet service provider, to ensure you have the latest in security updates. · Never leave your computer unattended once you have signed in to online banking. · After completing your transactions, ensure that you sign out of online banking, clear your cache, and close your browser. · Keep your password and card number safe. · Do not share, disclose, or provide your bank card number, or password, to another party or website other than your bank. Most banks will not send you an email requesting this information. · Do not save your bank card number or password on a publicly accessed computer. · If using a public access computer such as an Internet café or public library, change your password after completing your session by calling your bank’s telephone banking number. · When selecting a password, choose a series of characters that cannot be easily guessed by anyone else. The best passwords are made up of an alpha-numeric combination that’s more than four characters long and a combination of capital and lower case letters. · A password you use for any other service. · Your name or a close relative’s name. · Your birth date, telephone number or address, or those of a close relative. · Your bank account number or bank card number. Do not share your personal verification question answers with anyone, and do not disclose them in any emails. Giving your password answers to another person or company places your finances and privacy at risk. So, the last time you had to do a full re-install of Windows, (if you haven’t yet you will), you discovered that the most frustrating part of the process was the installation of all those device drivers. Most of us tend not to think about device drivers until the time comes when we end up searching high and low for the original install CD’s following an operating system re-install, or worse, spending hours on the Internet tracking down those hard to pin down drivers. Well, help is at hand. DriverMax is a free register ware program that makes it easy to backup and reinstall all your Windows drivers. Using DriverMax, you simply export all of your current drivers to a folder or a compressed file of your choice. After reinstalling Windows the Import Drivers wizard helps you install the drivers that you exported earlier. The entire operation can usually be done in 5-10 minutes, as opposed to the hours that the alternative requires. All you need to do then is restart your computer and all those drivers will be automatically reinstalled. This is a great little application that should be part of your recovery toolbox. AVG Anti-Virus Free 8.0 Released – Now With Anti-Spyware Protection! 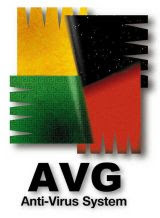 AVG Anti-Virus Free 8.0, for personal use only, which now incorporates protection against spy ware through a new combined anti-virus and anti-spy ware engine has just been released and this latest version of the popular free anti-virus tool is now available for download. According to the developer AVG Free provides basic protection against viruses and spy ware as well as a “safe-searching component” which has been incorporated into the new AVG Internet Security Toolbar. It’s important to note however, that the free product does not include the proactive safe-surfing (“drive-by download” protection) of the full LinkScanner module, nor protection against hackers, keyloggers, spam, phishing attacks, and malicious file downloads that is included in the commercial AVG product. Noble sentiments perhaps, but the downside to the release of AVG Anti-Virus Free 8.0 is AVG’s free standalone Anti-Spyware and Anti-Rootkit applications are being discontinued; bad news for those of us who prefer standalone solutions rather than prepackaged suites. Since it is too early to provide a definitive, comprehensive review of the strengths and weaknesses of this product, various user forums have been polled in order to get a relative feel for the opinions of early adopters. On balance the results have been mixed, with the most common complaint being mediocre detection rates and slow on demand scan times. On the upside, most users seem to like the newly designed GUI. For those users who rely on AVG’s free products for basic system protection, this new version is likely to continue to meet your basic needs. Requirements: Windows 2000, XP or Vista. Windows XP has a command line utility which will help you determine if you have Spyware/Botware running on your system. Netstat displays protocol statistics and current TCP/IP connections. I use this utility as a test, to ensure that the anti-malware tools and Firewall running on my systems are functioning correctly, and that there are no open outgoing connections to the Internet that I am not aware of. You should close all open programs before you begin the following process, if you are unsure which ports/connections are normally open while you are connected to the Internet. On the other hand, if you are familiar with the ports/connections that are normally open, there is no need to close programs. There are a number of methods that will take you to a command prompt, but the following works well. Click Start>Run>type “cmd” – without the quotes>click OK> this will open a command box. From the command prompt, type Netstat –a (be sure to leave a space), to display all connections and listening ports. You can obtain additional information by using the following switches. Type netstat -r to display the contents of the IP routing table and any persistent routes. The -n switch tells Netstat not to convert addresses and port numbers to names, which speeds up execution. The netstat -s option shows all protocol statistics. The netstat-p option can be used to show statistics for a specific protocol or together with the -s option to show connections only for the protocol specified. The -e switch displays interface statistics. Running Netstat occasionally is a prudent move, since it allows you to double check which applications are connecting to the Internet. If you find there are application connections to the Internet, or open ports, that you are unfamiliar with, a Google search should provide answers. A very good source of information is Steve Gibson’s website, Shields Up, where you can test all the ports on your machine, as well as testing the efficiency of your Firewall. Take the Firewall test; you may be surprised at the results! If you are unfamiliar with, or uncomfortable with using the command structure, there are a number of free real-time port analyzers available for download. Process and Port Analyzer is a real time process, port and network connections analyzer which will allow you to find which processes are using which ports. A good little utility that does what it says it will do. CurrPorts allows you to view a list of ports that are currently in use, and the application that is using it. You can close a selected connection and also terminate the process using it. As well, you can export all, or selected items to an HTML or text report. Additional information includes the local port name, local/remote IP address, highlighted status changes and more.